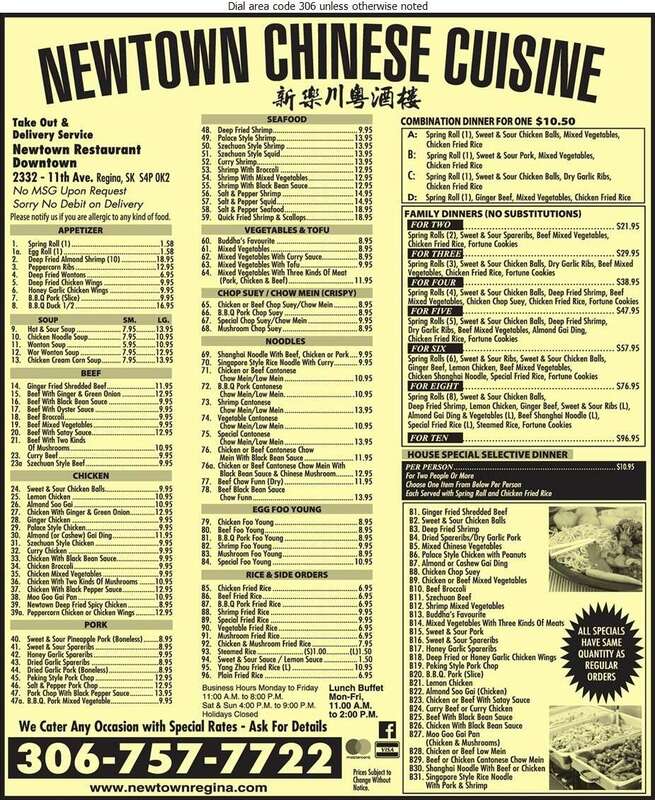 For an awesome selection of delicious Chinese food, visit Newtown Restaurant. Enjoy our tasty lunch buffet from 11:00 am to 2:00 pm during the week. We prepare our entrees without MSG upon request. At Newtown, our menu includes combination meals as well as special family dinners. We offer an array of mouthwatering Chinese, Thai, Vietnamese and vegetarian food. Try one of our many entrees including noodle bowls, sizzling hot plates, Cantonese style chow mein or low mein, Chinese stir-fried dishes and more! Best real chinese food in town.